Easy alternative to nails, screws and glues. Secure items such as notice boards, access panels, electrical appliances and tools etc. Will hold up to 300g per 20 x 20mm hook and loop strip. 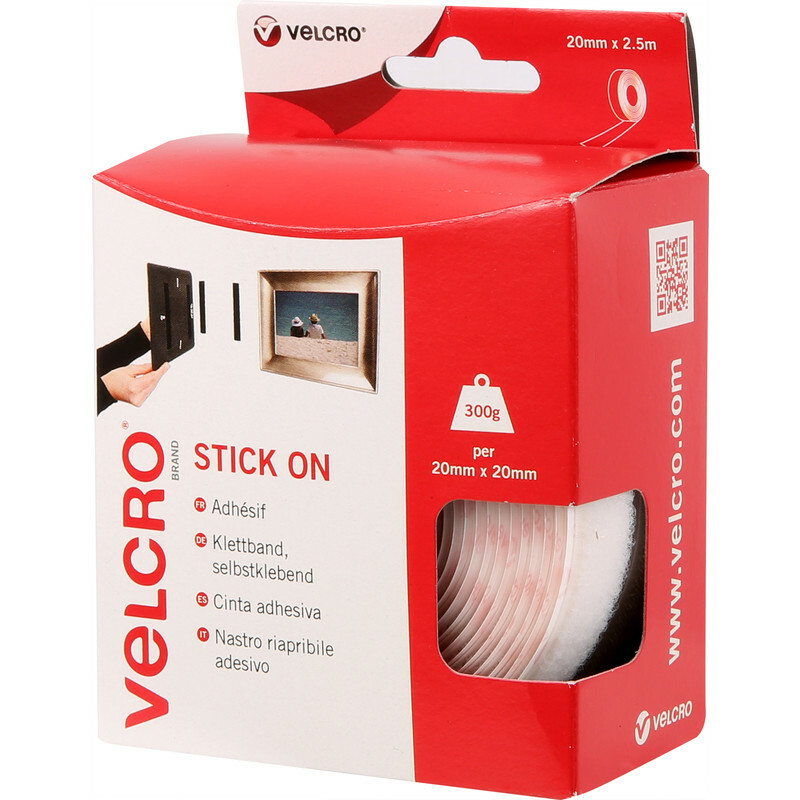 VELCRO Brand Stick On Tape White 20mm x 2.5m is rated 4.7 out of 5 by 3. Rated 5 out of 5 by SH RO from Excellent This was just what I needed for my make over project on the spare bedroom. Rated 5 out of 5 by unit from Up to usual Velcro high standards. Well-made product in handy pack size.